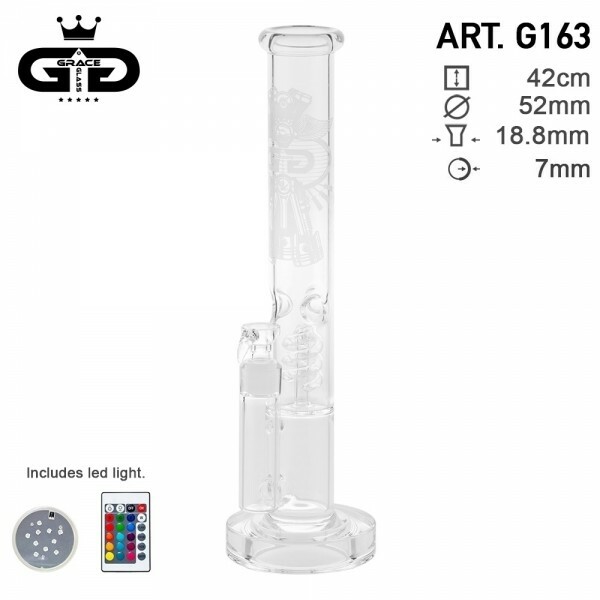 This amazing straight scientific bong from Grace Glass | Crystal series | Spyral engine is made out of high quality borosilicate glass. The waterpipe comes in a beautiful transparent glass color decorated with sand glass engine fantasies. With and height of 42 cm this item is equipped with a double chamber and a spyral percolator. Also comes with a thicker, a remote led base included and a handle bowl of 18.8mm. Check our webstore to discover all the new items!